Our Standard Complete Jaguar Air Bag Suspension Kits include every part necessary to install an aftermarket air ride suspension kit on your Acura, with no question. These Jaguar systems are complete, and will give you the dynamic adjustable air ride height your looking for. Our complete kits and parts are shipped at a fraction of the industry standard cost! Don’t piece together a bunch of equipment to build a complete kit from scratch, as more times then none it will become more costly and can lead to a compromise in overall quality. 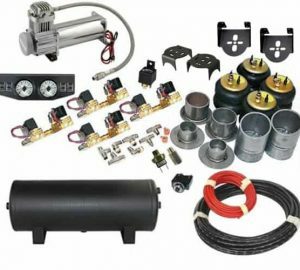 Each of our Air Ride Suspension Systems are engineered for your specific vehicle, and we ensure you receive each and every piece you will need to get your project completed and on the road. Air Bag Suspension Systems are used in many industries like custom aftermarket, load assist, construction, handicapped accessibility, and depending on the application can even offer increased ride comfort. Your systems will give you the versatility to ensure a satisfying ride each and every time your on the road. 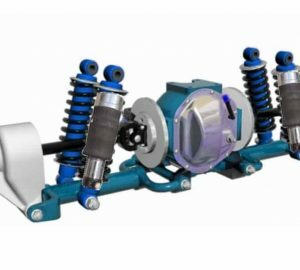 Quality Jaguar Air Suspension Systems are a click or phone call away with X2 Industries.